ATOS 5 | Mentel Co.,Ltd. Developed for industrial use, ATOS 5 delivers high-precision data in a short measuring time even under harsh conditions. 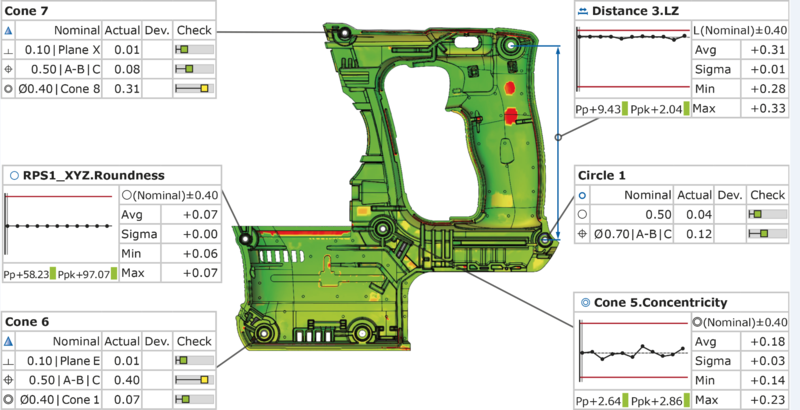 The full-field 3D measuring data allows comprehensive process and quality control, visualizing hidden errors and thus speeding up production processes. With its powerful light source, ATOS 5 delivers high-precision data for a diverse range of manual and automated applications: from tools and molds to plastic and metal parts. The GOM data quality is particularly evident in the detail sharpness of the 3D models, for example, in the precise display of smallest details, rib structures, narrow radii or hemmed edges.